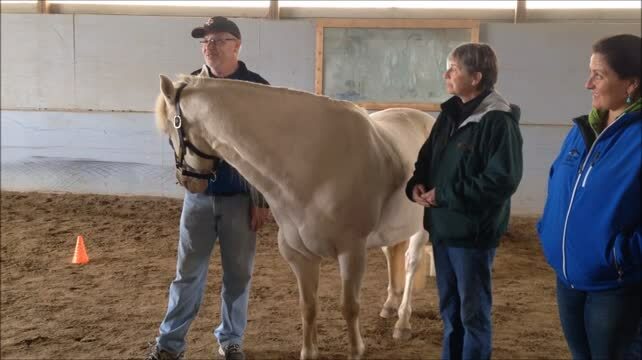 Press Releases on Equine Guided Leadership Education! What Would it Take to be Living your Best Life? We are in the process of updating information regarding the above. Please contact us for more info. Through well designed interactive exercises with horses our co-facilitators (the horses) give us instant honest feedback in the present moment. Through the debriefing process we gain insights in to how we can apply these reflective lessons learned into our daily lives. Horses as Ambassadors of our Evolving Consciousness give us insights into our personal universe. We are the sum of all our strengths, dysfunction and beliefs. *Horses see with a clarity based on thousands of years of evolutionary survival instincts. They live in present time and reading body language is fundamental to the herd-survival dynamic. *These “aspects” are reflected in the image projected on “our” movie screen and play out in our daily life. In order to change the image work on the difference “aspects” is important. By strengthening our weaknesses and releasing the perception of our past experiences we can influence the present. You will learn tools and leave with knowledge which you can apply to your daily life. Horses reflect our internal states, the invisible becomes visible and the external i.e. Clothes, title, money etc does not exist for them. The only external that is important to them is our body language. Present Moment Horse-Human interaction gives non-threatening feedback for better human interaction. In our daily lives we are living in constant change and horses have the unique ability to read us as we show up in present time. The horse as a ‘prey animal’ has to trust us to be in his space and gives us immediate feedback if we are not congruent. We as predators learn about our body language which is 90% of how we communicate in life - only 10% is verbal. The presence and size of the horse demands a respect. Their clear and honest feedback gives us insights into our leadership dynamics and belief systems. In herd culture their lives depend on trusting and reacting to their “chosen” leaders. They read you not your title or the way you dress. Teamwork is a must for survival! We can implement horse inspired insights into work, relationships and educational areas. Horses help us to fine tune non-verbal communication, non-predatory leadership wisdom, conflict resolution and emotional intelligence. By taking people out of their “usual environment” and providing non-threatening feedback (by the horse) we can create a space for change to occur. These new insights can then be integrated into the workplace and our daily lives. Just as a mirror is a reflection of our exterior self, the horse is an honest reflection of our interior self. Working in collaboration with the horse creates opportunities for: self-discovery, team building, emotional and social intelligence, non-predatory leadership, problem solving, working through fear, life skills, socio-sensual awareness, “present-moment” living, clear boundaries and improved communication skills. Horses are highly social herd animals and they have fine tuned their non-vocal communication skills over over 40 million years. As a pray animal they must listen clearly to fellow herd members for survival. We have a lot to learn from their behavior and well defined herd infrastructure. Through a series of interactive goal orientated exercises our co-facilitators (the horses) provide instant honest feedback in the present moment. The learning process is based on the principle - how we do one thing is most likely how we do everything. Equine Experiential Learning combines the active learning process of the above with the reflective insights and feedback from the world of the horse. Herd dynamics provide great metaphors for us to integrate into social and work environments. Learning to communicate with horses, and “like horses” (non-predatory leadership and clear defined hierarchy), can teach us so much about teamwork and leadership development. Horses don’t care about a person’s status or challenges etc they only care if you are coherent; can they trust you; are you focused; are you confident and are you aware?